About: SBI PO stands for State Bank of India Probationary Officer. SBI conducts recruitment examinations for various posts across India and Probationary Officer is one of those posts. Every year, a large number of aspirants apply for the job and hence, the SBI bank exams have become highly competitive. Authority: SBI or State Bank of India is the conducting body for the SBI PO 2019 exam. SBI decides the modalities of question paper pattern and implants the eligibility criteria needed to be fulfilled by the candidates. Expected Dates: SBI PO 2019 application form is expected to be released by March 2019 and the Preliminary exam is expected to be conducted in the last week of April 2019. Preliminary Exam - The First Phase of the recruitment process consists of MCQ type questions on English Language, Numerical Ability and Reasoning Ability. Interview - It is the Final Phase of the SBI bank exam 2019 recruitment process where the candidates who have cleared the previous two rounds will be called in for a group discussion and interview by SBI. Those who clear the interview will be selected for appointment to work as a Probationary Officer at SBI. There is a Probationary period of two years. Expected Vacancies: The vacancies for SBI PO 2019 is expected to be 2313. Reservations are provided for SC/ST/OBC and PwD categories. SBI Official notification 2019 will be released in the first week of April. Candidates can fill the application form from 2nd April 2019 to 22nd May 2019. Admit Card for Prelims will be declared in the month of June 2019 and for Mains, it will be declared in the month of July 2019. SBI PO Prelims exam 2019 will be held tentatively around 7th July 2019 and Mains exam will be held tentatively on 4th August 2019. Read SBI PO 2019 Important Dates to know more about admit card release date, SBI PO 2019 exam dates (prelims and mains) and results. Education: To be eligible for SBI Exam 2019, candidates must have a valid Bachelor's degree from any University recognised under Government of India. Age: Candidates must be minimum of 21 years of age. The maximum age limit to appear for the exam is 30 years. Nationality: Candidates who are Citizen of India, Nepal, Bhutan, A Tibetan Refugee who arrived in India before 1st January 1962 with the intention of settling permanently, or , Person of Indian Origin (PIO) who have migrated from Burma, Pakistan, Sri Lanka, Vietnam or East African countries of Zaire, Kenya, Tanzania, Uganda, Zambia, Ethiopia, Malawi, with the intention of permanent settlement in India can apply for the exam. Read more about SBI PO 2019 Eligibility. Sections: The SBI PO exam syllabus includes 4 sections: Reasoning, English, General Awareness and Quantitative Aptitude. Mains exam contains a descriptive section which consists of Essay and letter writing. Reference Books: There are several Reference Books for preparation of the exam. Read more about SBI PO 2019 Syllabus. SBI PO Prelims exam pattern will consist of objective type questions of 100 marks and exam duration being 1 hour. SBI PO Mains exam pattern will consist of Objective and Descriptive sections, where the objective section will consist of a total of 200 marks, divided into the following sections - Reasoning and Computer Aptitude, English Language, Data Analysis & Interpretation and General/Economy/Banking Awareness. The descriptive section will consist of 50 marks, assessing the candidate's essay and letter writing skills. Read more about SBI PO 2019 Exam Pattern. SBI bank PO exam 2019 application form will be available on the official website and candidates must register on the website to fill the application form. Application fees of INR 600/- (for general category) and INR 100/- (for reserved categories) have to be paid along with filling up the application form. Read more about SBI PO 2019 Application Form. Candidates have to choose the exam centres in which they want to appear for giving the exam while filling up the application form. Candidates have to select at least 3 exam centres for SBI PO exam 2019. Read more about SBI PO 2019 Exam Centres. By providing the registration number and the date of birth as filled in the application form, candidates can download the SBI bank exam admit card. Admit card contains details regarding candidates name, registration number, location, SBI PO exam date and general instructions for candidates. Separate admit cards will be provided for SBI PO Prelims and SBI PO Mains exam. Candidates, who clear the SBI PO 2019 Prelims will be eligible to sit for the Mains exam, after downloading the Admit Card. 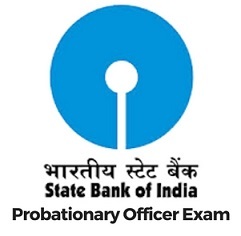 Read more about SBI PO 2019 Admit Card. Results for SBI PO Mains exam will be declared on 9th October 2019. Candidates who clear the Mains exam will be called for Personal Interview and Group Discussion. Read more about SPI PO 2019 Results. After registering for SBI PO applicants can download their SBI PO Exam Admit Card from 24th May 2019. The prelim exam for SBI PO will be held 8th June 2019 Onwards. The final result of SBI PO (for allotment) will be declared on 9th October 2019. Qualification: Graduation degree from any recognized university by the central government. For general category: Candidates must be below 30 years of age and above 21 years of age to apply for SBI PO exam 2019. For OBC category: Candidates must be below 33 years of age and above 21 years of age to apply for SBI PO exam 2019. For SC/ST category: Candidates must be below 35 years of age and above 21 years of age to apply for SBI PO exam 2019. If you have previously served in Short Service Commission or five years in the military then upper age limit is relaxed by five years. Candidates having Integrated Dual Degree certificate should ensure that date of passing is on or before 31st August 2019. Candidates with Chartered Accountant qualification can also apply for SBI PO exam. Candidates need to make sure they meet Nationality, Age and Qualificational eligibility criteria for SBI PO 2019 before applying Online. A candidate opting to register for SBI PO may follow the given steps to complete the Application Process to SBI PO. First, register on the official website for SBI PO exam and pay the application fee through online mode. scan your photograph and signature. To submit your data, you have to log on to bank's website and open application format from the Recruitment Link you haven't filled up some fields in the application form then you can do it later using the provisional number and password given to you after your registration. After three working days, a message will be sent to the mobile number registered regarding your registration information. Application fee Payment is the last step of registering process for SBI PO exam. The Application Form is priced at Rs. 600 for general candidates and Rs. 100 for SC/ST and PWD candidates. Candidates will have to register through Bank's website for SBI PO. Once the registration is completed, an online payment of the application fee should be done. As on 1st of April, 2019 candidates should not be below 21 years and not above 30 years. Applications Fee (Non-Refundable): INR 600/- for General and OBC Candidates, INR 100/- for Reserved candidates. Admit Card is a document generated after submitting the Application Form. Admit Card for SBI PO prelims will be available by June 2019 and for SBI PO Mains, the Admit Card will be available by 24th May 2019. Candidates who qualify for SBI PO prelims exam, they will be getting Admit Card for the SBI PO main exam. Candidates must regularly check their registered mail id for further information on the admit card for SBI PO exam. Phase 3: Group Discussion and Interview. In Prelims phase, there will be 100 Objective Type question each of 1 mark and will have three sections (English Language: 35 marks, Quantitative Aptitude: 35 marks, Reasoning Ability: 35 marks). Candidates are given one hour to complete SBI PO prelims exam. SBI PO main exam will consist of 155 questions and a total of 200 marks. The main exam will have four sections (Reasoning & Computer Aptitude: 60 marks, Data Analysis & Interpretation: 60 marks, General/Economy/Banking Awareness: 40 marks, English Language: 40 marks). The last phase will have Group Discussion: 20 marks and Interview: 30 marks. SBI PO Prelims syllabus: English Language, Quantitative Aptitude, Reasoning Ability. SBI PO Main Exam Syllabus: Reasoning and Computer Aptitude, Data Analysis & Interpretation, General Awareness (Economy/Banking Awareness), English Language. SBI PO Exam Syllabus: Reasoning, Arithmetic, Data Interpretation, English, General Awareness, Computer. SBI PO Descriptive Examination Syllabus: Letter writing (Formal and informal), Essay writing, Precise writing. Candidates can check SBI PO Results on the Official Website of SBI PO exam. Candidates should know their Roll Number, Registration Number, Password, DOB to check results through online. Each stage of the Result will be declared on the State Bank of India website. Candidates just need to input their Registration Number and DOB or Password to view Results. If the candidate has qualified a phase then he/she should follow the instructions for the next phase of the exam. What is the age limit criteria for appearing in SBI Bank PO exam? Candidates applying for the SBI PO exam should be between the ages of 21 to 30 years old as decided by the bank. Candidates are not eligible to apply if they were born on or after 1st April 1997. There are no relaxations to the minimum age for the eligibility criteria. Candidates are eligible to apply if they were born on or between 2nd April 1988 and 1st April 1997. Click here to read other eligibility criteria of SBI PO Exam. Can I apply for SBI PO post? I have scored 55% in BBA. The eligibility criteria for the SBI PO exam is graduation degree in any of the streams such as BA, B.Com, B.Sc, B.Tech, etc., from a University recognized by the Government of India. What is the application fee for SBI PO 2017? The application fee is Rs.600(for general candidates) and Rs.100(for SC/ST/PWD). How do i apply for SBI PO 2017 EXAM? In order to apply for SBI PO exam 2017 candidates will have to register themselves online through Banks website sbi.co.in/careers or www.statebankofindia.com/careers and open the appropriate Online Application Form, available in the current openings. After registrartion candidates are required to pay the requisite application fee through online mode by using debit card/credit card/interent banking. What is the maximum number of attempts for SBI PO? Is the prelim exam considered as an attempt or is only the main exam counted as an attempt? The chances are considered only if you appear for MAIN EXAM. Candidates who have already appeared for the maximum number of chances are not eligible to apply. The number of chances will be counted from the exams held on 18-04-2010. Appearing in Preliminary exam will not be considered as a chance. Can you give me an overview of the SBI PO 2017 examination? Any eligible candidate, who aspires to join State Bank of India as a Probationary Officer, is required to register online for the Recruitment Process. The examination will be held in two phases - preliminary and main. Candidates who will qualify in preliminary examination and shortlisted will have to appear for the main examination and shortlisted candidates in the main examination will subsequently be called for a Group Discussion & Interview. Prospective candidates will have to apply after carefully reading the advertisement regarding the process of examinations and interview, eligibility criteria, online registration process, payment of prescribed Application fee/intimation charges, the pattern of the exam, issuance of call letters etc. and ensure that they fulfil the stipulated criteria and follow the prescribed processes. SBI PO Recruitment Exam is always considered as the Largest of all Banking Exam. The next in line is IBPS PO Recruitment Exam. Though the number of Vacancies in the former is less than IBPS PO, yet there are many applicants for SBI PO. The huge number of applicants for SBI PO Exam is due to the various factors which include the largest commercial Bank SBI itself. SBI offers growth opportunities as well as potential benefits such as posting abroad. The promotion policy allows some candidates to reach top management grades. Pre- Examination Training: Bank may arrange pre-examination training at certain centres for SC/ST/Religious Minority Community candidates in consonance with the guidelines issued by Government of India. Candidates belonging to the above categories who desire to avail themselves of such training at their own cost may indicate to that effect against relevant column while applying online. SBI has made some changes in the selection process for this years PO recruitment. Like previous years, exam will be conducted in two phases. Candidates who will qualify in preliminary examination and short listed will have to appear for main examination and short listed candidates in the main examination will subsequently be called for a Group Discussion & Interview. Preliminary examination process is still the same. Many changes has been introduced in the examination pattern of the Main examination for SBI PO. This year, the main exam duration is extended to three hours. There is also section wise time limit. Main examination will be computer based examination. Admit Card availability for the SBI PO. When will my Admit Card be generated for SBI PO Examination? Admit Card is a document generated after submitting the application form Of the SBI PO. The price of the Application Form for SC candidates. What is the Application Fee and what if I am an SC Candidate? How much will the Application Form cost for me? How are the cut offs going to be accessed in case of SBI PO 2017? SBI PO 2017 cut off's will be calculated on a nationwide scale which provides a marking scale for most Banking Exams and Recruitment sessions.